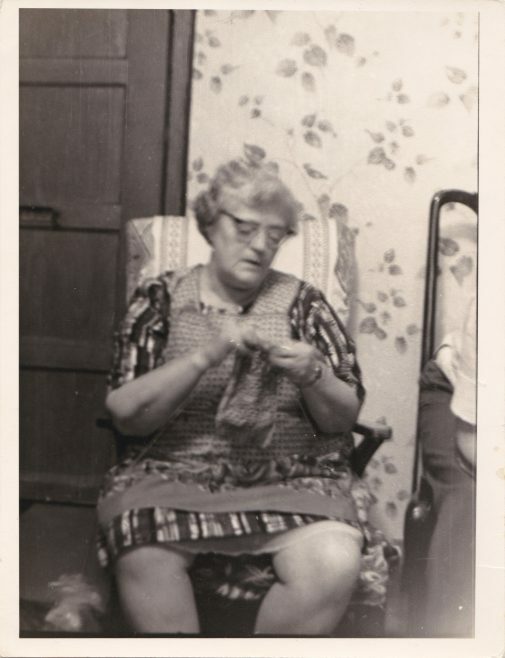 Dorothy Agnes 'Dollie' inside the front door of 45 Blackgate Yard, Woodhouse, 1967 with her third husband David Cooper to her right. 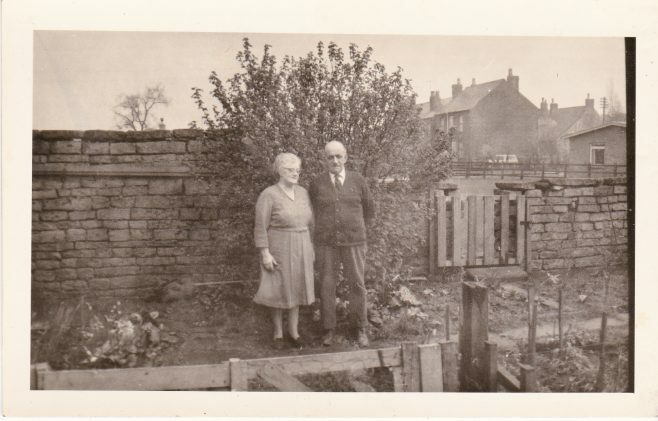 When the Cox family first arrived in Woodhouse from Boston, Lincolnshire they found accommodation in an outbuilding within the Barlows walled garden. 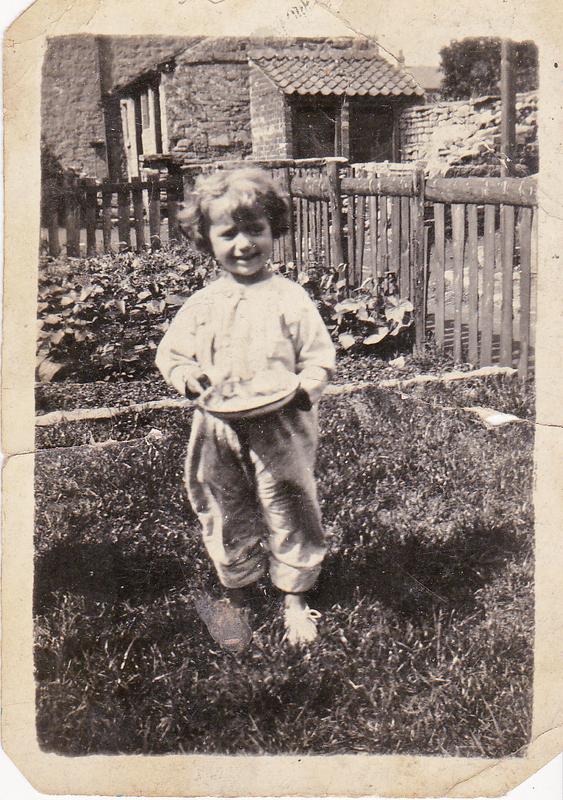 This picture shows Dorothy 'Dollie' Cox, born December 1926 in Barlows garden. Beyond the tall wall on the right lies the lane that provides entry to Blackgate Yard from Albert Street. Over the wall, between the outbuildings and the tree can be seen the roof of a stone house on Albert Street the family called 'Stone Row'. 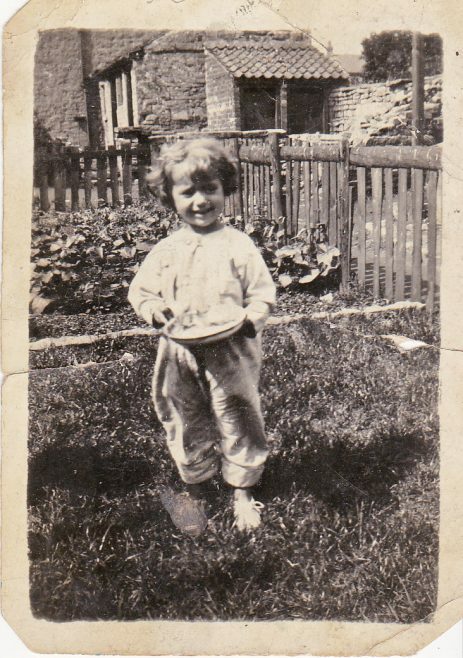 Dollie Cox, eldest daughter of George and Dollie Cox outside one of the houses to the right of the entry to Blackgate Yard. 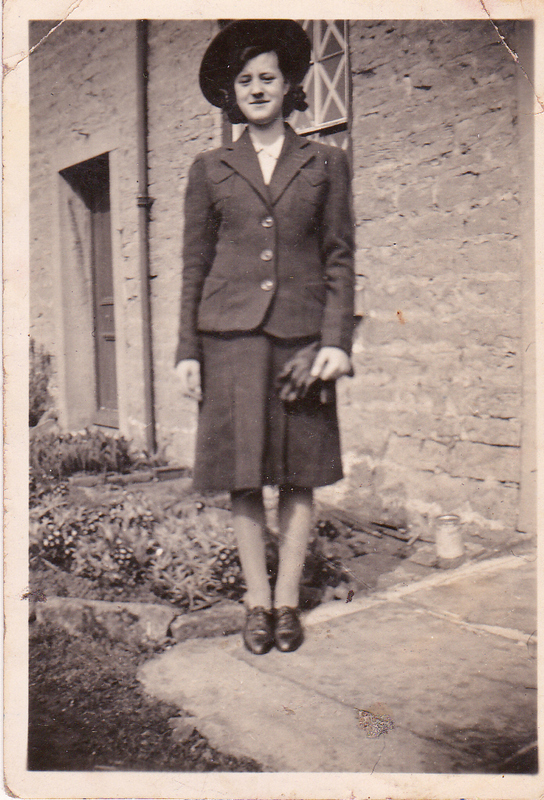 Taken in war time as there is tape across the window panes behind her. 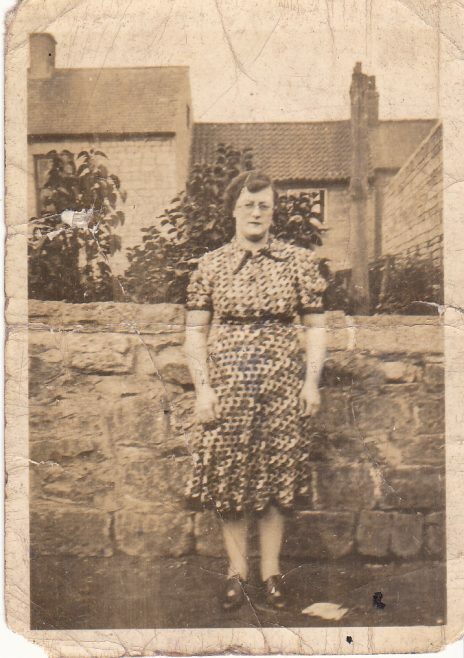 Dorothy Agnes 'Dollie' Cox in Blackgate Yard. She would be facing directly up the lane that leads to Albert Street. Behind her is the house that Harry 'Shonka' Morley lived in with his father. He was a barber with a shop on Albert Square, he specialised in short back and sides. To the right of Shonka's is the roof of number 45, where Dollie and her family would eventually move to as the family grew in size. 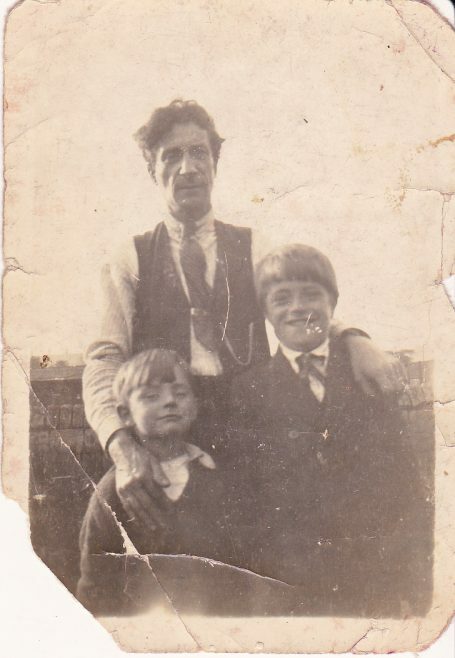 George William Cox with his two stepchildren Syd and Reg Booth. It would be Syd, many years later who would provide me with the information I used to write my original piece about the family and their lives in Blackgate Yard. The wedding of Dorothy Agnes 'Dollie' Cox to David Cooper at St Edmunds in 1952. The reception was held at the Turner Memorial Hall. 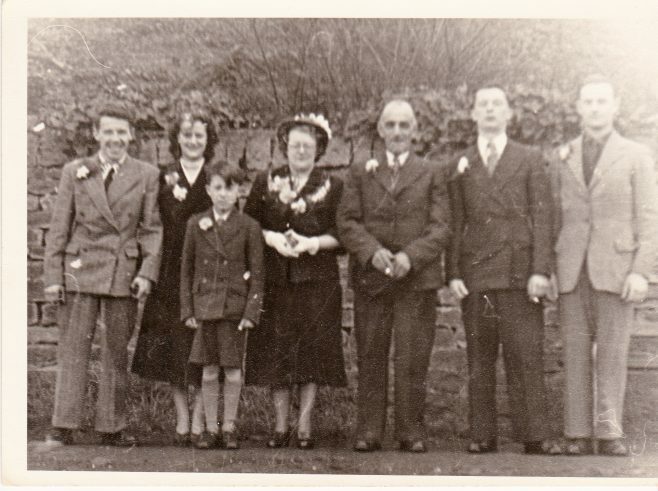 From left, Jack Whittlestone, Dollie Whittlestone nee Cox, Rodney Cox, D. A. Dollie Cox, David Cooper, George Cox and Syd Booth. Dollie and David Cooper in the garden of 45 Blackgate Yard. To the right is the way through to the allotments. Out of shot to the right was a pig sty. In distance the roof and gable of the stone farmhouse that once stood on Ley Lane can be seen. 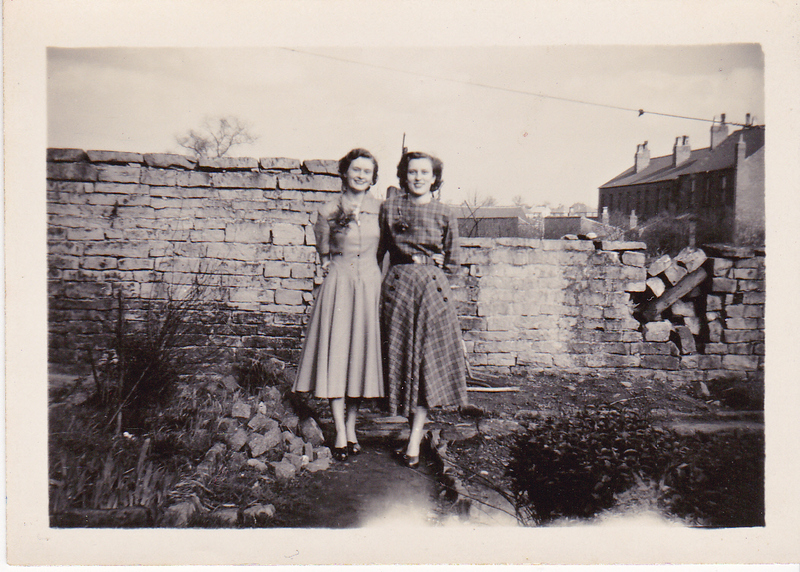 Rennie Cox, born 1934 and her sister Margaret born 1934, in the back garden of 45 Blackgate Yard.